You brought up my life from the pit, O Lord my God. When we visited Israel three years ago, one very powerful experience for me took place in a pit. We were in the basement of Caiaphas’ palace in Jerusalem. We had already seen places of great significance: the Mount of Olives with the ancient olive trees, where Jesus prayed on the night he was betrayed. We saw the birthplace of Jesus – now surrounded by churchly ornamentation, and places of veneration. 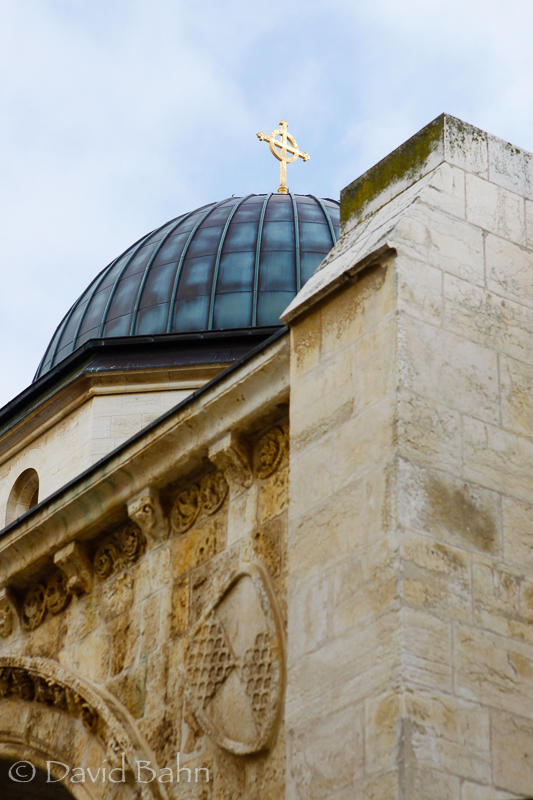 We saw the place of Jesus’ crucifixion and tomb both inside the Church of the Holy Sepulchre. But somehow the experience of being in that pit stays with me. The reason has to do with what happened there. We were led down three levels into a deep pit where I was asked to read Psalm 88 for the group. The psalm expresses much of the angt Jesus experienced at his betrayal and arrest. It was likely that Jesus was in a pit such as the one we were in. When I got to the last phrase of the Psalm, “my companions have become darkness,” the lights were turned out. We were in the pitch darkness of the pit. We were able to climb the narrow steps up out of the pit once the lights were turned back on. But to be brought up out of the pit was still a welcome experience. Jesus not only endured the pit, the darkness, the abandonment, torture, shame, scourging, death of the cross, and rest in the tomb, but through that destroyed the works of the devil. He has been glorified, raised up from the pit, he reigns from on high. Whatever pits we may have to endure, we can be confident that our ultimate end is not the pit, but the glory of heaven, and the life of the world to come. In the mean time, we look for glimpses of that glory and foretastes of that perfect deliverance, and thank God when we experience God’s favor and rescue today.